Late Classic: A boat built from 1976 through the year 25 years prior to the present year. In 2019, the Late Classic period ends with boats built in 1994. Daisy MaeDaisy Mae was manufactured in Ohio in the Columbus area and went to the northern Michigan area. She was at home on Lake Michigan. We bought the boat in June of 2013. The boat had been restored in the Henry Skiff Craft Boat Factory in Ohio the year before. She has a 228 HP 5 liter Mercruiser I/O. Her new home port is on Table Rock Lake in Missouri. 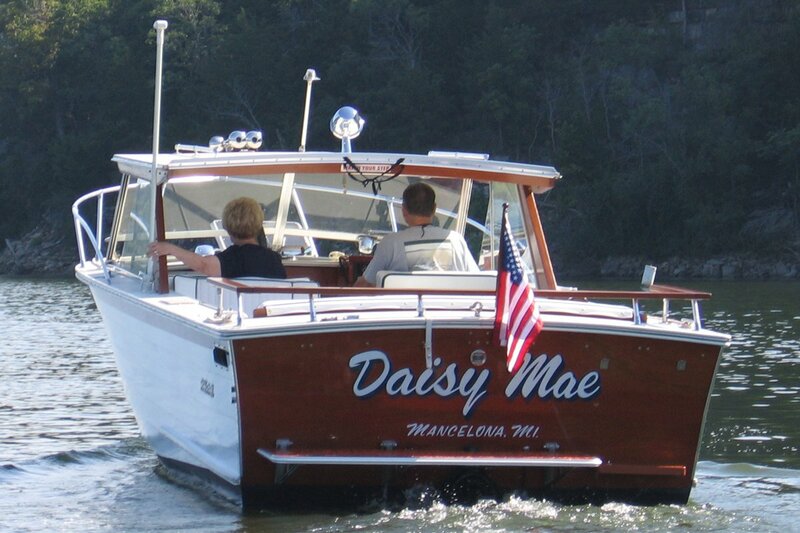 The name Daisy Mae was already on the boat but we do not know why she was named that or by whom. We are the third owner of this boat. 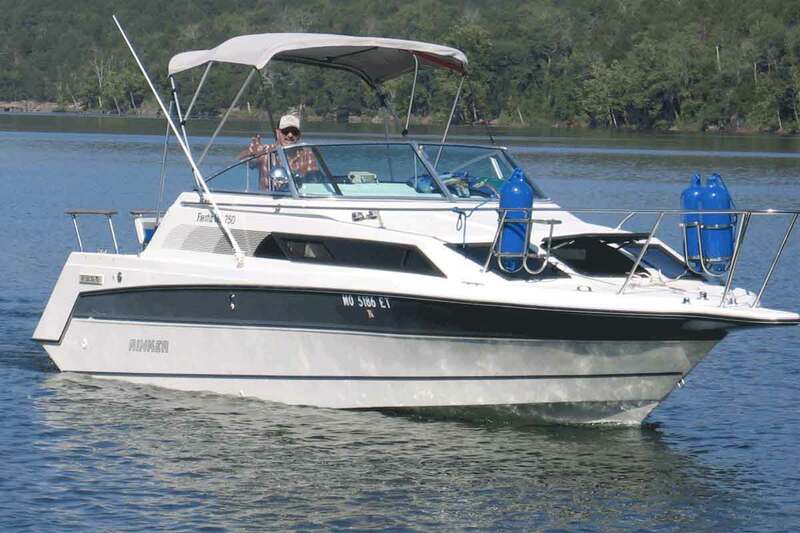 Caravelle Boats were manufactured in Conway, AR by Centark Industries which went out of business in 1982. The brand was resurrected in California and is still being sold today. 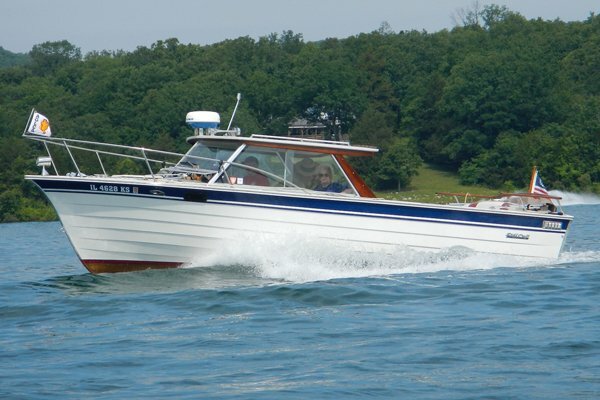 This 17 ½ foot fiberglass boat, was manufactured in Oct. 1979 with Serial # CNHO4434M79C, with a 165 HP Mercruiser I/O. In 1986 she was advertised for sale in a very poor neighborhood as part of a bankruptcy sale, but the boat looked good and was affordable. We used the boat regularly and in the spring of 1991 discovered a leak in the transom where the outdrive was mounted. Upon further analysis, discovered the flooring was getting spongy, so it was time to do a major renovation. Everything was removed and disconnected the top deck from the hull and set it to the side. When the flooring was removed, the plywood stringers were ground out. Then using what was left as a pattern, new ones were made. A local fiberglass guy made a new plywood transom and glassed everything back together. I then had all the upholstery recovered and installed new flooring and carpet. Effectively, she was back to new condition. 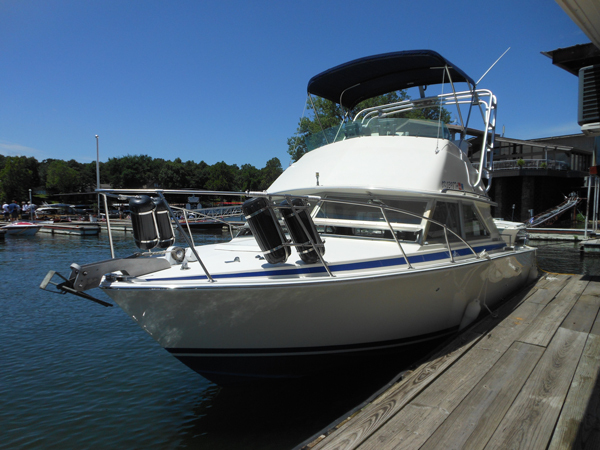 We have used the boat regularly for the following 20+ years, keeping it in a garage or carport and out of the weather. Original gelcoat still shines, however it may be time for another minor renovation soon as the upholstery is showing 20 plus years of wear. The engine is all original, having never been rebuilt. With no hour meter, it is hard to say how many hours of use it has on it but still runs perfectly. 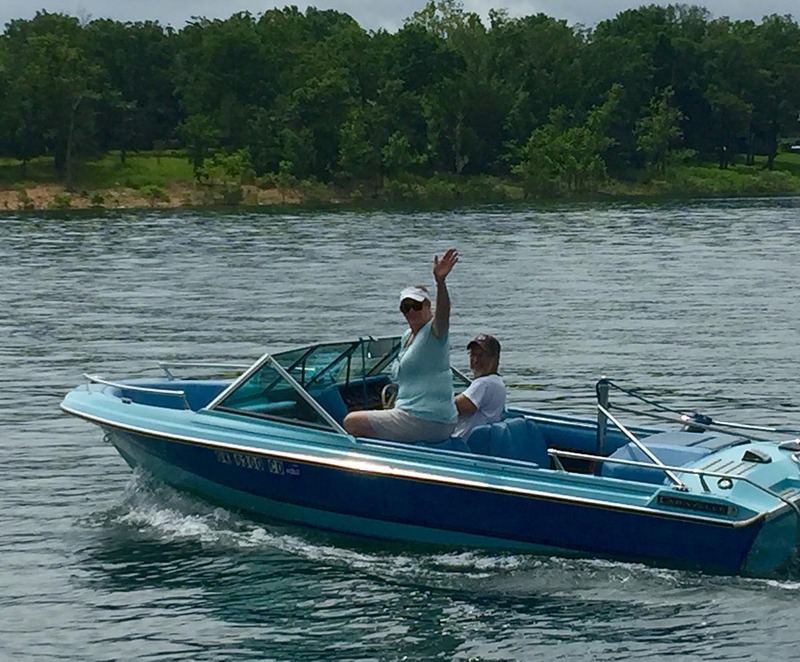 Both of our kids learned to water ski behind this boat, and are still doing so today as it is still the best water skiing boat in the fleet. 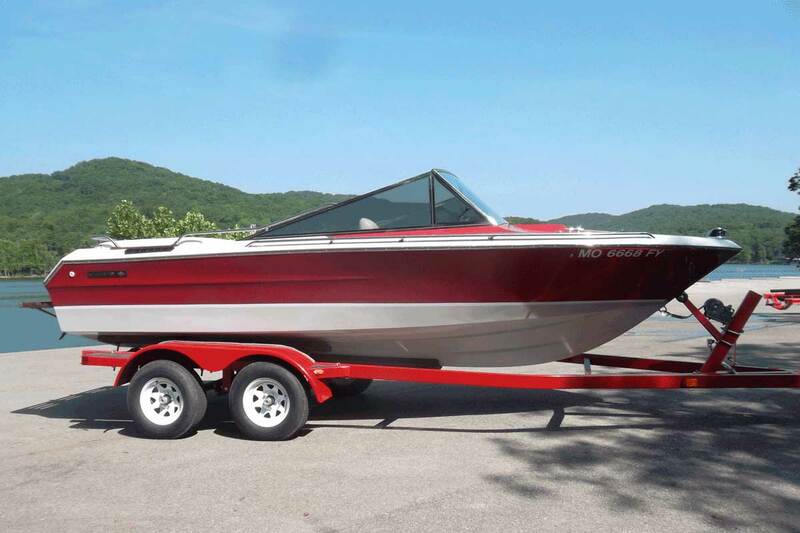 We believe we are the third owner of this boat which was originally used on Lake Erie, then on the Tennessee River, before being stationed on Table Rock Lake. It is pictured on Six Mile Creek off of the St. John’s River in Florida. We have taken this about on nearly 1,000 miles of the Great Loop Cruise. “The Cara J” is a 1986, 11 meter Trojan sedan cruiser. Powered by two big block GM’s We brought the boat to Table Rock Lake in the year 2000. It resides at the Ozarks Yacht Club dock. 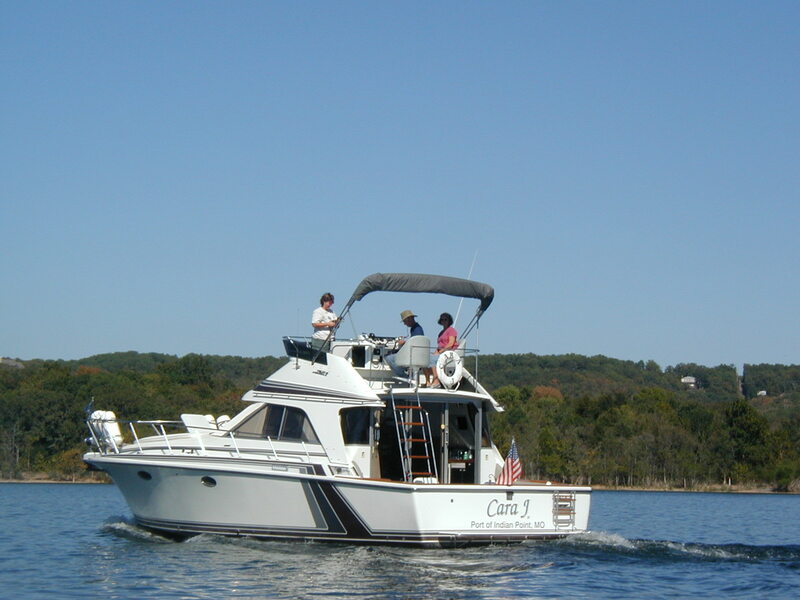 The boat spent time on the Lake of the Ozarks and the Mississippi river at Polestar marina where we bought it. 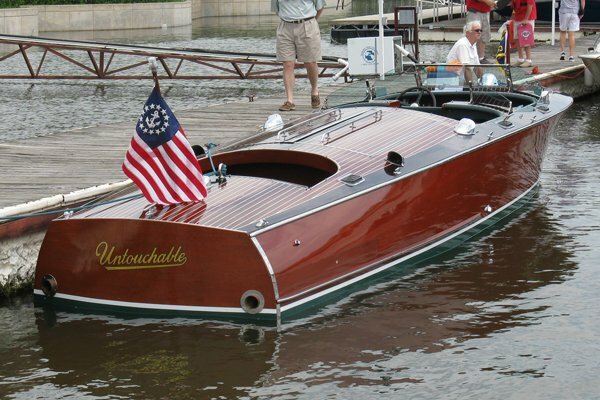 1989 Century Arabian 19′ powered by a Mercruiser 454, 340 HP with a Velvet Drive transmission. She is owned by Don and Kathy Parker. We acquired this 1989 Century 19’ Arabian in 2016. We wish she could tell her own story because the boat must have experienced a very difficult infancy and teenage years. Apparently, she got caught up in a Century Boats’ bankruptcy, acquisition by Glastream, and eventually was left outside, covered with a tarp that eventually disintegrated. At some point, she was acquired by a dealer in Kansas City who began to rebuild her which necessitated new stringers, flotation, fiberglass restoration, etc. The restoration stalled at some point and she was acquired by Jason St. Onge in Carthage, Missouri. Jason contracted with a fiberglass restorer in Nixa, Missouri who completed the work on the stringers and flotation. Mr. St. Onge then began the process of putting her back together. She is powered with a Mercruiser 454, 340 HP with a Velvet Drive transmission. At the time we took delivery the engine had 6.1 original running hours. In 1987 Century had been acquired by Glastream Group and so her hull number (GSYDV053G889) actually indicates she was built by Glastream. 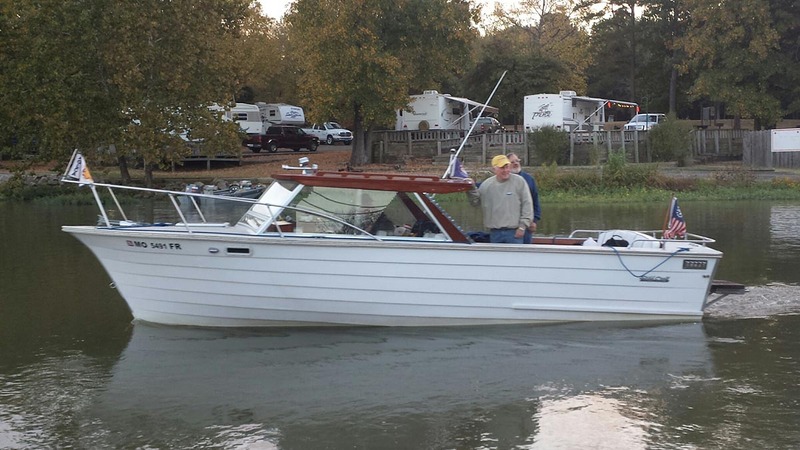 She should be a great vessel for Table Rock Lake with her 7’3” beam, 19’1” length and deep v hull design.